Note7 phone users in Canada will be cut off from the mobile network from December 15. Samsung’s recall of Galaxy Note7 smartphones because of exploding batteries is far from complete with some users, for example, in Canada still not turning in their devices for a refund or exchange. 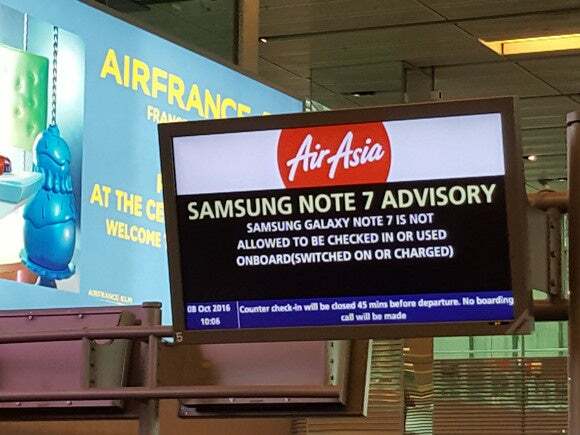 The South Korean company has now decided to cut these phones from the network, adopting similar measures to those taken last month in New Zealand and earlier this month in Australia. The company said Wednesday that from Dec. 12 functional limitations on Note7 phones, including curbs on the battery charge, and Wi-Fi and Bluetooth disablement will be introduced in Canada. From Dec. 15, customers still using the Note7 will no longer be able to connect to any Canadian mobile network service to make calls, use data or send text messages. Samsung said it had been able to secure nearly 90 percent of the Note7 devices that were brought into the Canadian market. When Samsung announced in September a recall of the Note7 in tandem with Health Canada, a Canadian federal government department, it was said that about 21,953 of the recalled smartphones were sold in the country. Samsung announced a global recall of the Note7 in early September after it found a ”battery cell issue.” The U.S. Consumer Product Safety Commission on Sept. 15 announced a recall in the U.S. of about 1 million Note7 phones as it found that the lithium-ion batteries in the devices could overheat and catch fire. By Oct. 13, CPSC expanded the recall to include replacement Note7 phones that Samsung had supplied to customers under the first recall as they too were found to have the battery problem. The company also stopped production of the phones. It has yet to explain in detail what really caused the batteries to explode. A recent report suggested that the phone design could compress the battery even during normal operation. Samsung said on Dec. 1 that it was working with local carriers to disconnect from Dec. 15 Note7 phones that were still being used by customers in Australia. Note7 owners in the country responded well to the recall, but a small number of affected devices are still with them, the company said. Customers in New Zealand were to be disconnected from Nov. 18. The Note7 recall has been both a public-relations and financial debacle for Samsung. The company has reported that the third quarter revenue of its IT and Mobile Communications division was down 15 percent from the same period last year to 22.5 trillion Korean won (US$19.8 billion) while operating profit fell 95 percent to 100 billion won, as a result of the discontinuation of the Galaxy Note7.